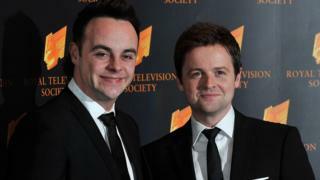 Ant and Dec have missed out on a Royal Television Society award nomination for the first time in 10 years. Ant McPartlin took time out from work last year after being banned from driving due to his involvement in a car crash in March 2018. After a period of Dec presenting Saturday Night Takeaway on his own, and working alongside Holly Willoughby on I'm a Celebrity, Ant returned to Britain's Got Talent in January. Ant and Dec have been favourites on the British awards scene for years, making the lack of a nomination quite a change for them. 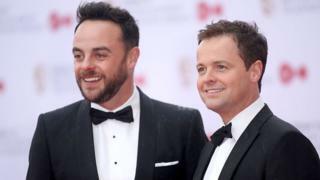 Despite Ant's break from TV in 2018, the pair still received a National Television Award for presenting earlier this year. The pair have received RTS nominations every year since 2010, and have won five times in the Entertainment Performance category. This year's Entertainment Performance category features The Voice's Jennifer Hudson, comedian Michael McIntyre, and duo Big Narstie and Mo Gilligan. 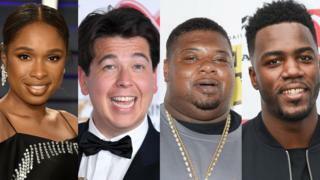 Jennifer Hudson, Michael McIntyre, and duo Big Narstie, & Mo Gilligan. Ant and Dec: What was the world like 18 years ago?